Solving water problems is easy with Perfect Water Systems Ltd. 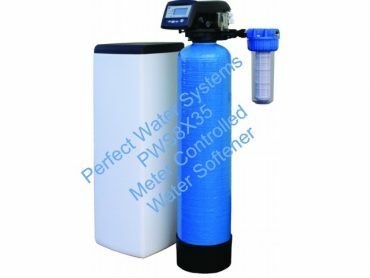 When your home and family are hydrated by a filter system or water softener from PWS, water problems become a thing of the past. Everything touched by water in your home will look, smell and taste its best. Fixtures, taps and appliances stay bright, clean and stain free and last longer. Your clothes and towels will feel soft and fluffy and your water is once again clean, clear and enjoyable—be it for a nice cuppa, refreshing drink or in a sudsy luxurious bath. Pure water in your home is the heart of a great life. It helps you and your family stay strong and healthy. It helps make what you eat and drink taste its best. Plus it helps your skin stay smooth and your hair feel silky, and even helps manage weight issues. With a filtration system from Perfect Water Systems Ltd., bubble baths are a sudsy pleasure and soap rinses completely off your skin, helping keep it soft and smooth. Shampoos lather fully and rinse away cleanly, leaving your hair silky smooth instead of dry and brittle. As a bonus, you’ll also notice how much less soap and detergent is used—because your water is so much better. Your kettles, appliances and taps will look better and last longer. You won’t need to scrub away soap scum—because it won’t form in the first place. And since detergents will rinse away completely, your clothes will feel softer and last longer too. Make the decision to solve your water issues once and for all. Call us today on Free Phone 1890 98 90 98 or in Charleville at 063-89290. Alternatively please submit the form below for more information. We have found the system very efficient and the service courteous and profession. Installed over 13 years ago now, always a quick and reliable service if any problem arises – which is rare. Couldn’t recommend it enough. I have a Water treatment unit from Perfect Water Systems installed for the past number of years. On the few occasions that I had problems with it the service engineer called and sorted out my problems promptly. Perfect Water Systems provide a professional service with helpful advice and respond to any inquiries within the hour. We are happy to recommend this company. Before we got the filter fitted we were buying bottled water to drink so it’s great to be able to drink a glass of cold water from the tap again. I am delighted with the water filtration system installed by Perfect Water Systems Ltd. The quality of the water is much improved and I have peace of mind knowing that it is much safer to drink. The service provided is to be complimented also. We’ll done PWS! We got perfect water systems installed a number of years back and we have never looked back. We always had iron in our water which we were unable to drink and was affecting appliances but this system had sorted out our problems. Couldn’t recommended PWS high enough. We have found Perfect Water Systems to be efficient and reliable and are happy to recommend the company for the testing of a water supply. We have been a customer of Perfect Water for 7 years since we moved into our house and we are very happy with the service. They are always very helpful and very pleasant to deal with. We are delighted with both product and service over the last eight years. Perfect water systems installed a System in our house 7 years ago, I find them very reliable and efficient, they service it annually. I would have no hesitation recommending them. I live in an area where the quality of our water was always poor. It didn’t look or taste right. Since Perfect Water Systems installed the filtration system the quality of the water has improved a thousand fold. Crystal clear, and without odour; our water quality is now perfect. It looks, taste, and feels great. It’s a weight of my mind to be able to fill a drinking glass with perfect water. I have the water system for years and all runs perfectly, service is done fast and promptly. All this thanks to you Perfect Water Systems! Prompt friendly service always feel confident that they are looking after the system professionally and knowledgeably thank you all. We are very happy with both the product and the service from Perfect Water. The new Kinetico system is working very well. Where previously we had problems with kettles and washing machines which had to be replaced due to lime buildup, that problem is solved. I have been a customer of Perfect Water Systems for 12 years and have found them to be both efficient and professional whenever the servicing of my water system is due. I would highly recommend Perfect Water Systems. They fitted my water filter system a year ago and I have had no problems. They are very professional and efficient and also good value for money. I would definitely recommend Perfect Water Systems for water filtration systems. They are reliable, efficient and good value for money. We have an ultraviolet system installed for a few years and are very pleased with water quality and would recommend perfect water systems. “I write to say how pleased we are with our water filter installed to our private water system in June 2014. Our supply was contaminated to the extent that it caused serious health problems for a family member, resulting in surgery. We were buying bottled water for six months, but then purchased a filtration system from Perfect Water Systems Ltd, and since then we have peace of mind re our water supply, and can drink the water straight from the tap without fear of contamination. We can highly recommend this Company as trust worthy and efficient. The filter is excellent, and now with one years experience we are delighted with it, and with Perfect Water Systems Ltd.
Just a short note to say “thank you” to the engineer who called at the house to reset the unit while we were in England for the Christmas/New Year period. It was very much appreciated. We have been with perfect water systems for the past 20 years and thanks to them we still have perfect water. We highly recommend their services and will be in touch in the coming days to book our annual service. Highly recommend perfect water systems – great service and great prices. Excellent system and prompt, efficient service . I have and will continue to recommend Perfect water systems. They are a company that put the customer first every time. I have been a customer of Perfect Water Systems Charleville for 10 years now. The water softener installed is an absolute godsend with out it my appliances would be destroyed by lime. The service I receive from Perfect Water Systems is fantastic. I would highly recommend Perfect Water Systems for it’s products and aftercare is 100%. We have been customers of Perfect Water Systems Charleville for over ten years. Our water filtration system has always been serviced by friendly professional staff each year. They have always rang beforehand and arrived punctually which meant a lot. We have always found Perfect Water Systems satisfactory. Great service and still nice clean water after the filter-system was installed about 5 years ago. 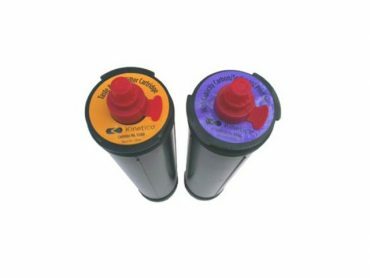 Since 1998 I have had a water softener from your company and it goes without saying that it gets the job done. We no longer have any lime problems in our house and I don’t have to buy a new kettle every few weeks. I was surprised at the amount that I have saved from having the unit! It was a very good investment and I have no regrets. I recommend it to everyone who comes into my house who has the same problems and recommend that they just spend that small bit now to save a lot more in the future. Over 5 years installed now, always prompt with the service, always polite and efficient when here. We have been very happy with the quality of our water since same was installed last year.I ‘m happy to endorse your company …the installation ,testing etc at start up was both friendly and efficient….and the little I had to do during the year was explained in words of 1 syllable that even I could understand. Extremely satisfied with this unit. Taste is noticeably different as is the level of lime scale we now experience with our shower heads and kettles. 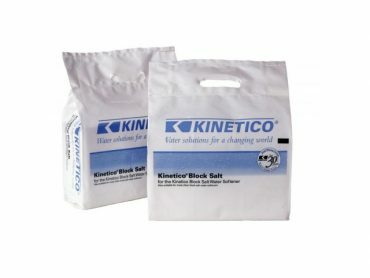 Extremely easy to fill the salt blocks, and the unit runs away with no maintenance from us bar filling the salt blocks. Would definitely recommend this unit. It has saved us a lot of money replacing showers, shower heads, machines and kettles. I have been using Perfect Water Systems since May 2005. I had a lot of bacteria in the well and Perfect Water Systems installed a filtration system to ensure I had good quality water entering my house. I get the system serviced annually to ensure that all my family have safe drinking water and that the filters also stop any dirt or lime getting into my boiler or the heating system. After my annual service I have the comfort of knowing that the water quality in the house is filtered to the highest standard and that all my family have safe drinking water thanks to Perfect Water Systems. We are clients of Perfect water Systems for over 10 years and they are very efficient, courteous and prompt,easy to deal with and have a brilliant service.